First ever year-end clearance sale on genuine Maternity Clothes at warehouse (in the east)! If you are looking for trendy and comfortable maternity wear but yet do not burnt a big hole in your pocket, this 1-day only event is for YOU. 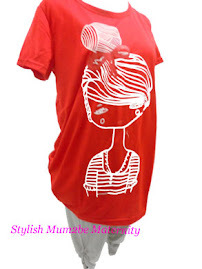 We are clearing a wide range of maternity items up to 50% discount. All items are brand new or display pieces and everything has to go before the year-end stock-take. The first and only 1-day event of the year NOT to be missed. You can either take a bus (No 42, alight either 4th/ 5th Bus-stop) or a short taxi trip from Kembangan mrt (around $3.50) to reach the factory directly. For enquiries, please feel free to contact Xiaoling at 9820 8695 (Hp).